We got whitewashed 4 nil. Again. This time, against Australia and their ruthless captain, who actually seems like a pleasant chap. Hard to find any positives, but I will try. Virat and Umesh enhanced their reputations, Zak didn’t break down during the series, nobody called any of the opposition players a monkey and Gauti and Ishant were very polite in inviting the Aussies over to India; but I don’t know if Sachin, Rahul and VVS have anything left to offer this team. Apparently, nobody is retiring anytime soon; which is fine, I guess. Anyway, we play only home tests for the next two years. So everything will be fine. At least, that’s what Duncan tells us. He is smart. I can trust him. Right? This Virat is the only reason my hair has not completely turned white. Haha. Especially with all this ‘rift’ drama surrounding me, Viru Paa and Gauti. Today, he played one of the best ODI knocks I have ever seen. We needed to chase 321 in less than 40 overs to have a chance of reaching the final of the Commonwealth Bank series, and what does he do? He scores 133 from 86 balls to reach the target in the 37th over! His dismantling of Malinga was something. I’m very excited for him. Rahul bhai has decided to retire. I’m very sad now. Suddenly, I’m starting to feel nervous about the home season. Duncan says I worry too much. Maybe he is right…. Sachin paaji finally scored his 100th international hundred. Phew, what a relief! No more of those annoying questions from the media. Anyway, this is a proud moment for all Indians. Paaji is really great! Also, we lost to Bangladesh. Finally, some good news. We won the ODI series against Sri Lanka. I know, I know…it’s only Sri Lanka, our most frequent opponents; but at this stage, a win is a win. A great way to start the season. Also, I don’t understand why Rohit is not making use of his talent. Duncan says that he will eventually come through. Everyone says Duncan is wise; I guess he’s right then. VVS has also retired now. In his press conference, he said that he was unable to reach me and inform me about it beforehand. Well, I thought that if I did not return his calls, he will not retire. So wrong I was. Anyways, that feeling when Rahul bhai stepped down is back. I keep saying to myself, “All iz well”. Saakshi is getting concerned about me. The home series against the Kiwis is over and I am so happy to be proved wrong! We may not have Dravid or VVS anymore, but Pujara and Kohli are the future. I don’t know why I was so worried. Even the bowlers have started to take wickets again. Ok, it was mainly Ash and Ozzie; but I am only going to focus on the positives. No more negative thoughts for me for the rest of the year! We got knocked out of the ICC world T20s. I am so disappointed; we won 4 out of 5 games, bowled out every opposition except Australia, and still we couldn’t make it to the semifinals. What stupid format, yaar! 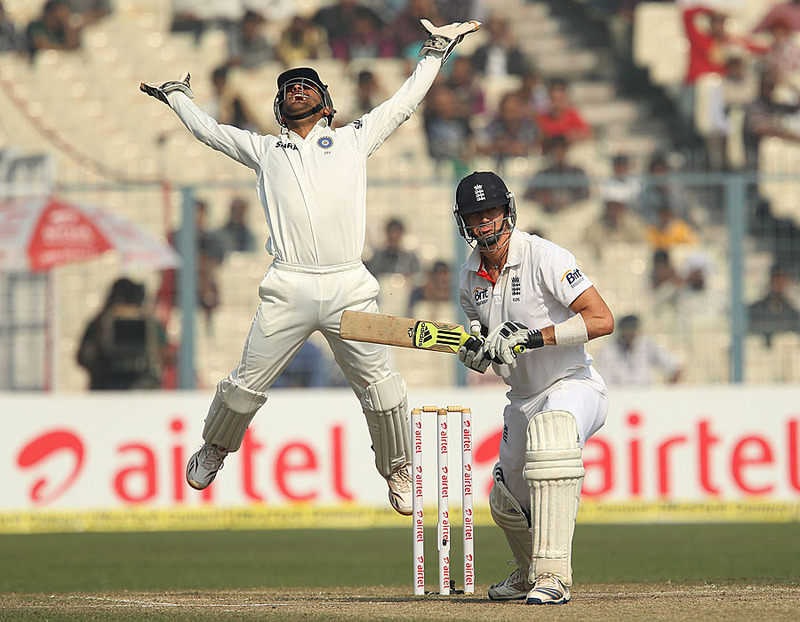 We gave England a taste of what they can expect for the remaining games, after the thumping we gave them in Ahmedabad. Che is batting like a dream, Viru Paa scored a ton and Ozzie is causing all sorts of trouble for the batsmen; but I’m still not satisfied with the pitch I got. I have asked for a proper turner at Mumbai. Duncan says we have to be ruthless now. I’m glad that Duncan is happy, though I have to say that his smile is a little scary. We lost the Test series to England. I cannot explain it, though. People are calling for me to step down as captain; but I’m a fighter. I will not give up. There are better times ahead. I just know it. Even Duncan agrees; and you know he’s right. Surely, it cannot get worse from here. Sachin paaji has retired from ODIs. Duncan said that it’s a good decision. I told Duncan to shut the F@$& up. Hoping for a better 2013!